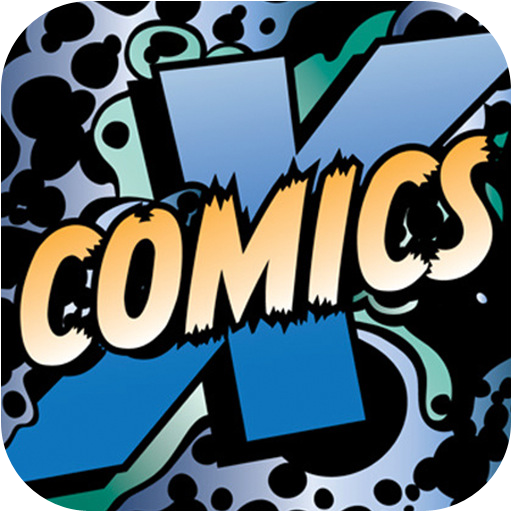 With the number of digital comics released increasing every week, the ComiXology team have released a brand new version of their Comics app. Version 3.0 is a complete overhaul of the old app, with everything from a new look store front to fantastic new browsing and search features that makes the experience of using it more intuitive than before. The new look interface has replaced the old style blue with a slick new monochrome design and new art deco inspired font. Instead of the basic three options of Store, Comics and Search along the bottom, you are now taken straight to the store and you can view comics by Featured Titles, Publishers, Series, Genres and Creators while in the top right corner there is the option to view Your Comics. Comics now feels even more like iTunes with the ability to browse titles in so many different ways and really helps you navigate the increased number of titles with ease. You can still view titles by Just Added and Most Popular thanks to the menu options at the top of the Store, but the Featured titles section now includes even more curated lists from the ComiXology team (just as iTunes do) such as Starting Points where you can download the most popular titles as well as specific story arcs such as this week’s DC 52 relaunch. As well as viewing the Featured books you can also browse by Publisher. Taking this idea from Comics + each company now has it’s own mini store front which makes finding indie titles much easier as you can browse the latest releases by smaller companies like Dynamite or IDW without having to wade through the entire catalogues of other companies. In a way this is a sneak preview of how Apple iOS5’s Newsstand feature for iPhone and iPad will work and in this context it really works well. You can also browse by Series to get the latest from Captain America or Superman, by Genre to find the latest movie and TV adaptation or zombie title and by Creator, which is a great way to check out all the work from Neil Gaiman, Mark Waid or Frank Miller. Reading your comics is as intuitive as before and you can view your titles via the button in the top right corner or via the Purchases option on the bottom nav bar. Be warned though when upgrading to 3.0 you will be required to download your existing titles again! When browsing your titles in Your Comics, instead of viewing every title in a cover flow style window you can now view your comics by title, with notification buttons in the right hand corner to show you how many titles are unread. This is probably the best new feature for version 3.0 and really give you an iTunes style browsing approach – it’s like viewing your music by album rather than by song. You still have the option to view the titles as a list if you want, but this is clearly a reflection of people having more and more titles on their iPads and seeing them by series saves so much space and browsing time, allowing to view your collection much more easily than before. Even before this upgrade Comics was the undisputed king of digital comics, but with apps from Comics Plus and Graphicly nipping at it’s heels, it has once again raised the bar of what reading and browsing comics on an iPad is all about. Although essentially a fancy storefront, Comics has the best range of titles available on an app and now really makes finding your favourite titles as easy as possible. It’s improved accessibility and browsability options enable to you find the titles you are after (and even those that you aren’t but that you might like anyway) quicker and more efficiently before. If Apple’s iTunes is the top dog in entertainment apps then Comics truly is the iTunes of comics, and with version 3.0 it just got even better!